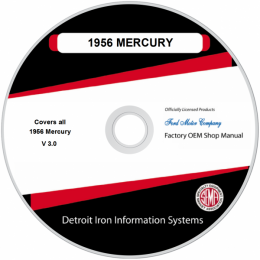 Our CD-Rom Shop are a must have for anyone restoring or maintaining a classic vehicle. Volumes of information scanned from ORIGINAL FACTORY SHOP MANUALS. View & print wiring diagrams, diagnostic info., step by step repair procedures, assembly procedures, specifications, parts manuals and more from the ORIGINAL SOURCE! These are year, make & model specific. See below for books included & models covered.